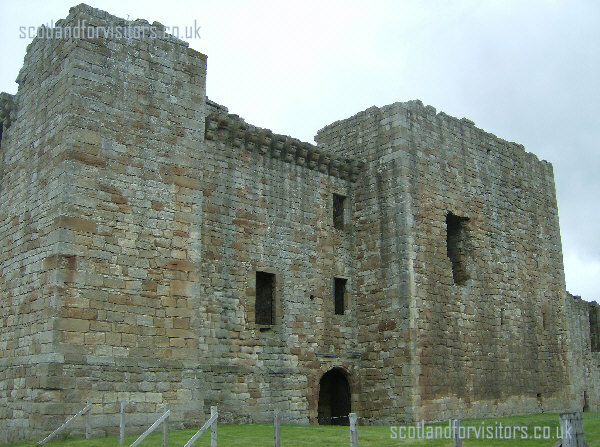 This is a photograph taken from in front of the main entrance to Crichton castle. The castle was built as the lordly residence of the Crichtons and was later home to the Earls of Bothwell. It is perhaps most famous for its Italian and Spanish inspired design of a 16th century courtyard fa�ade. Crichton castle is now a ruin but during its heyday was the ancestral home of one of the most powerful families in Scotland.